A regular salon/spa facial tends to pamper the skin and give a temporary glow without addressing individual layers of skin and aiming for long term results with regular maintenance. Dr. Vrushali recommends hydrafacials to her clients that use prescription grade active ingredients that are exclusively available to only dermatologists. It starts with a gentle exfoliation with hydra microdermabrasion machine without involving any scrub or crustal particles or diamond tip. This is particularly suited for people with sensitive skin. Thereafter a chemical peel as per the patient’s skin is chosen and applied uniformly for a fixed period of time. The exfoliation enhances the penetration of the peel. The peel facilitates deeper exfoliation of skin layers, gives even texture, removes superficial pigment and induces turnover of skin thereby eliminating fine lines and superficial wrinkles. This is followed by a procedure whereby active ingredients containing collagen stimulators, microvitamins and micronutrients, amino acids and brightening agents are pushed into the skin by a procedure called mesoporation. Special focus is on the nutrition that the clients skin is lacking when evaluated by Dr. Vrushali. The last step of the procedure is using a skin brightening mask that ensures anti-irritant and cooling benefit and the instant glow expected from a facial. 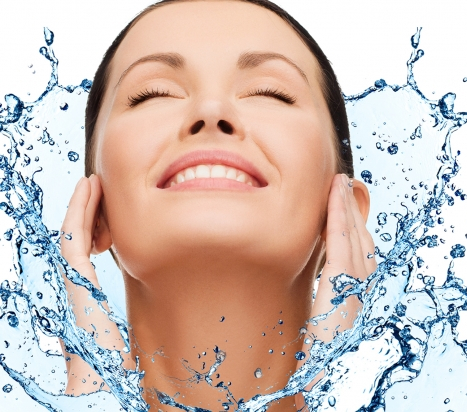 Without stripping the skin of its nutrients and moisture, the Hydrafacial by Dr. Vrushali help recover and rejuvenate skin at the same time, tackling every skin layer to make her clients feel more confident and radiant.